This is all I am going to say – there is nothing finer currently on the shelves. One year on, it has an emotional pull that is unmatched by any other title. Look at those hybrid children and I dare you not to feel any twinge of sadness. Looking at the overall picture, I can see a storm brewing. I hope that Jepperd is riding it. JUST BUY THE FIRST VOLUME AND BE PREPARED TO BE MOVED. 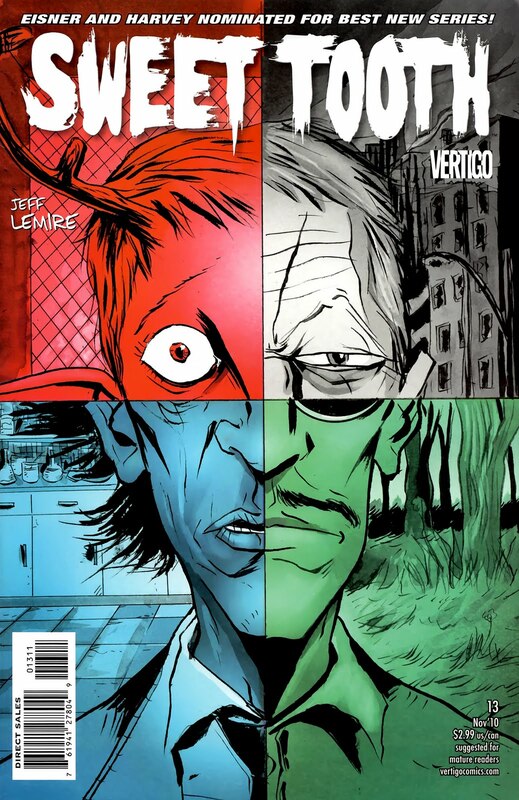 Jeff Lemire is doing something beautiful here people – please support his efforts.